Terre Haute Towing Service is a long-established, family-operated, local towing company that provides towing services as well as a full spectrum of roadside assistance services to Terre Haute, Indiana and to neighboring areas, including Marshall, Brazil, and beyond. Our Tow Service is known above all else for its dependability and reliability, as well as for the rapidity of its response. 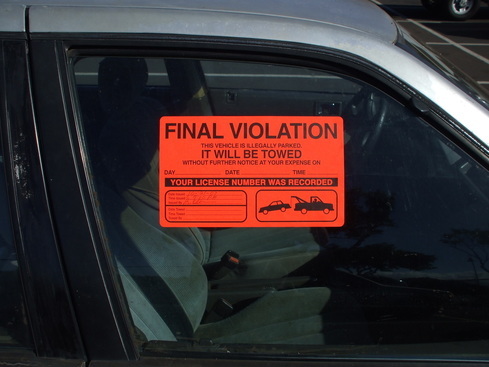 The company was founded on the concept that when you need a towing service you need it immediately. Henry Morgan, the founder of the company, was himself the one that first developed its reputation for reliability and speed. And his sons, and now his grandsons, are carrying on that tradition. Old Henry was always happy to talk to anyone on the phone, and get to know them before they actually needed a tow truck. He always said that if someone personally knew the people of a tow truck company, that person would be greatly relieved of the terrible stress and even panic that he might find himself in if ever his car broke down on the highway, or he ran out of gas, or had an accident. A great Terre Haute Tow Company. 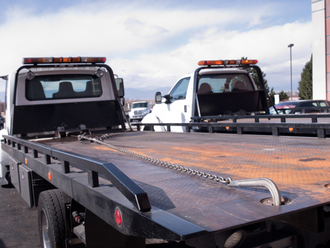 Tow Trucks, 24 hour Emergency Service; Flat Tire Changing; Battery Jumpstart; Auto Lock Out; Non-Emergency Tow; Long Distance Transport; Flatbed Tow Truck; and Gas Delivery. Since it’s possible that your car could break down at any time, or that you could have an accident at any time, you need a tow truck company that can get to you at any time; you need a tow truck company, in other words, that can respond to you as a 24 hour Tow Service, 7 days a week. And that’s what Terre Haute Towing Service is: it’s a company that can and will respond to emergency calls around the clock. All of our drivers are thoroughly trained to handle any kind of emergency, and they will arrive much faster than you might believe. And once they arrive they will handle your problem quickly and efficiently, and also with great courtesy. 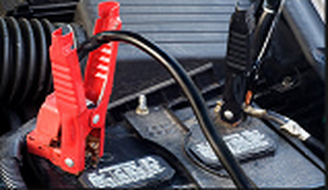 It can happen to anyone: you get into the car, turn on the ignition, and nothing happens; your battery is dead. If you are a person who does not personally know someone like Terre Haute Towing Companies, your instant response will probably be terrible stress, and even panic. But if you do know someone like us—or better yet, know us—then you will feel no stress at all. You will just call us. And there we will be, almost in the next moment, with jump cables out to get your car started and bring your battery back to life. This is another common problem: you arrive at your car, and discover that you have left the keys inside the car! You have locked yourself out. But again, if you know the people at Our Service, you know that you can get your problem very quickly solved. You just give us a call, and we will be there as quickly as we can, and we have a tool by which we can open your door, and get you back on your way again. There was a time when everyone knew how to change a tire. But that was back in a simpler time. These days everything about vehicles is so much more complex than it was in the old days. Nowadays engines seem to require experienced mechanics to work on them, and tires seem to require experienced technicians to change them. 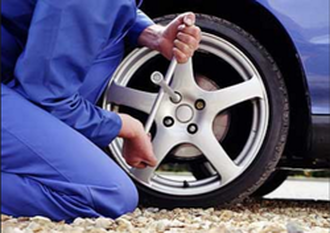 So don’t worry if you’re facing a flat tire with no idea how to change it. Simply call Terre Haute Wrecker Services, and we will be there in a jiffy and take care of everything for you. Running out of gas is another problem that can happen to anyone, and when it does happen, what do you do? If you’re lucky, you can just call someone in your family or one of your friends and ask them to bring you some gas. But if you’re not lucky, your family or friends will not be available to help. And so, if you know any of the friendly, courteous people at Terre Haute Rollback Services, this is when you will think of them. All you have to do is take out your phone and give us a call. And we’ll be there in no time at all, with a full gas can in hand. WHY TOWING COMPANIES IN TERRE HAUTE? Simply put, because terre haute roadside assistance is the best tow truck company around. All of our drivers are thoroughly trained, and licensed and bonded, and have passed stringent background tests, and are regularly drug-screened. You will not find a more sturdy and dependable group of people anywhere. Our trucks are well-maintained, equipped with the very latest technology, and as clean as they can possibly be. It was old Henry Morgan’s goal to be the gold standard of towing services in Terre Haute, Indiana. So if your looking for wrecker services near me, call on us, And that is a goal that still drives us today.